In another thread, somebody brought up a point I've often been curious about. Moshe partly answered my question in this reply. But I thought I'd invite further input. Ancient wargames seem to always be either tactical or strategic. I know "operational" is a modern term, and maybe that's why it gets applied mainly to modern-era games. But there were big armies and fleets and big wars in the ancient world, and surely military forces in that era did many of the things we'd call "operational." Yet an ancient-era wargame in which each infantry unit represents hundreds of men is still called tactical. And strategic games usually cover entire wars. Where's the middle ground in ancient-period wargaming? Are there any operational-level ancients wargames? It just seems a little weird to me that in tactical wargames like Squad Leader and PanzerBlitz, an infantry unit represents maybe 8 to 30 men, but in Ancient Battles Deluxe an infantry unit might represent anywhere from dozens to hundreds of men. In De Bellis Antiquitatis, an element might sometimes represent a thousand men or more. Sometimes tactical ancient warfare seems vastly different from tactical modern warfare (even if "modern" means French Revolution to the present). Was it really that different? Or do wargames just tend to present it that way? OK--vague and complicated question. But food for thought and discussion, I hope. Roma Invicta? is what you might call operational, as is De Bellum Gallicum by Frederic Bey, and probably also Dan Berger's game on the Gallic War. I suppose you could also look at Richard Berg's Ancient World series as being sort of operational as well, and his Druid game seems to be. Muster army. Move towards enemy. Find enemy. Try to cut off enemy from access to food, fodder and water. Can you win in a fight? If yes, fight as soon as possible. If no, consider waiting the enemy out, finding local allies, slinking away or going into camp. Battle time. Does it involve fortifications or a small portion of the armies? If yes, minor victory for one side or the other. Loser may slink away or go into camp. Is the fight a big one? 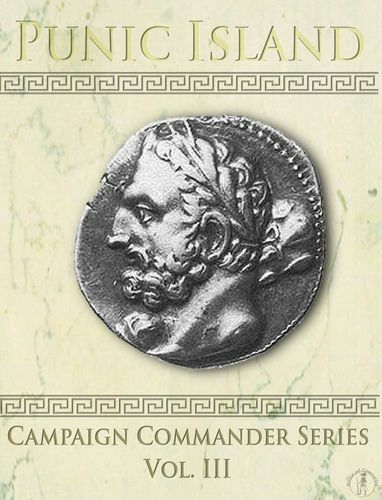 If yes, winner wins, loser is utterly destroyed (except for hoplites, unless they are invading Sicily), campaign is over. And that's about it. You can have an operational game for Punic Wars, Alexander's campaigns, Pyrrhus' campaigns, Successor squabbles, Sertorian wars, Slave revolts or Roman Civil Wars, but it's mostly going to come down to a big battle. If you lose, game over. If you are Rome you can continue to raise new armies until the enemy wearies; if you are Carthage or Persia you get to raise two more armies but once they lose you're out. There's potential for guerrilla warfare, but it's a bit boring unless you like having foraging and and punitive expeditions as major determinants of victory and defeat. Semi-historical multiplayer miniatures campaigns are interesting, but they tend to abstract out the details and just concentrate on raising armies and fighting. It's really a good question. For example the Ilerda campaign and Caesar's moves from Gergovia to Alesia are definitely good examples of operational art and cannot be gamed neither at tactical nor at strategic level. Unfortunately we have very few examples of games that try to explore this possibility (RHB Ancient World system is at operational level but, from what I've read, it seems very complex). I agree with Moshe that this can depend from the content of ancient sources but I also see other problems. 1. In most ancient campaigns what matters is essentially the conduct of one main army. Ancient wars, in fact, rarely see the coordination of several important but indipendent forces on in the same theater of war (prehaps the 2nd punic war in italy is one of the few exceptions). So the interest of such a game is doubtful since the strategy would essentially consist in deciding how to move the big pile led by the senior war leader. 2. It is difficult to set the time scale because the time between the few battles is made of the daily routine of little war actions: logistic transports and preparations, foraging, reconnaissance, operational turning movements, terrain choice for camp sites or for places where to offer battle (usually refused by the enemy), fortification works, sieges, sallies and so on. 3. It's hard to separate all those ations from the battle tactics because all is influenced by the risk of fighting a battle and by whom would have the advantage in such a case. However I would really like to see more operational games set in the ancient period, because reading "The Art of War in the Western World" by Archer Jones I've been interested by his description of the ancient operational art. I would really like to see more operational games set in the ancient period, because reading "The Art of War in the Western World" by Archer Jones I've been interested by his description of the ancient operational art. I need to reread that book. I felt there was a lot there when I first read it--a lot worth revisiting. Ancient operations are reasonably depicted at the strategic level. The typical ancient operational considerations were denial of battle, supply of an army and the limits of living off the land, harassing enemy foraging parties, looting the countryside, siege operations secondary to the main armies on either side, show of force or punitive expeditions with a diplomatic / political object (to detach a nation or city from an enemy coalition for example). Armies were articulated on battlefields, grand tactically, but not really between the army assembled for battle and the whole theater. Side forces were garrisons, pretty much, and smaller forces avoided battle until gathered to give it in full armies. Operations come into their own as armies expand in number, which follows improvements in supply and in wealth, and later as more powerful firepower arms force tactical deployments to spread out extensively, so full armies cannot concentrate for battle (or would lose to artillery if they did, presenting too massed a target etc). When armies have to be thin to avoid modern firepower, that creates maneuver opportunities that just are not there when everything is within an hour's walk of everything else, and changing front is as easy telling everyone to pivot on one heel. Nobody really spoke of the operational art before the 20th century, though operations as we know them - as a layer between grand tactical combat and overall strategy - certainly existed in e.g. the Napoleonic wars (basically, from the invention of the army corps onward). Boudicca: The Warrior Queen could be classified as strategic, but it definitely feels like an operational scale game to me. And as an added bonus, I re-wrote the rulebook, created the Vassal module, and teach it to new players on Vassal. I notice you started talking about operational but suddenly you jump to tactical. Both are different but arguably there are different reasons. It is vastly different because weapons and tactics were totally different. The first is that the introduction of gunpowder led to a complete change in the style of tactical warfare (the "empty battlefield" where it is more important not to be seen than to be marching in lockstep with the others in your line). Even for Napoleonics and the ACW, company level games are a rarity and curiosity because except for skirmishing or the occasional strongpoint attack (as in Hougoumont) there just weren't so many game-interesting decisions at company level. In Napoleonic times the interesting decisions were made at brigade level and up (so the maneuver units are battalion level, as in La Bataille series, and up - that's why most of the tactical Napoleonic monsters are battalion level). The second was (and that was at operational/strategic level) that industrialisation led to large armies (and logistical trains supporting them) that could hold a long front line nearly forever. In pre-industrial times, you would try to get to the other army and beat it before you ran out of supplies. There were always exceptions (many exceptions) but overall the distinction holds. As a result of that, ancients campaigns usually involved a limited number of armies snaking through the countryside, then meeting in a climactic battle which either decided things or they had to go back home at the end of the campaign season (fall) and try again next year. Therefore, there is no real gap between operational and strategic games. There is one system that could arguably be claimed to show "real" ancients operational issues, and that is Paddy Griffith's Vallum from Slingshot magazine (specifically looking at the Romans who were arguably the operational masters of the era). It's not about marching and fighting, but about finding the right spot for your camp with regard to water and foraging, building your fortifications, and awaiting the right moment to strike when the enemy is tired, hungry, or demoralised (or has had key units bribed to defect by your secret emissaries - yes, that is also part of the game). It is unique as far as I know, and also show why more games were not done at that level. Ancient Wars Series (unreserved recommendation - these not only try to address logistics and transport issues at some level, but also planning and diplomacy). The third factor is that the ancients epoch is far away time-wise - we have far fewer sources and far less emotional investment. There simply is not the material or the market to give Trajan's March on Pasargadae the same depth of treatment as Sherman's March on Atlanta gets in ACW operational games, or Tannenberg for WWI, or Case Blue or the Bulge for WW2. I would say that with yearly turns (though they have multi-month impulses) these are about as far from operational as an ancients strategic game can be. In fact your description below is very good but lists all the things that exactly do not apply to the Ancient World series, making my case. However thinly, the operational level is far better represented by games with monthly turns that usually have armies dealing with supply issues - in addition to the Ancient Wars series mentioned in my previous post, or the Epic of the Peloponnesian War game, the Romans are probably best covered in that fashion in Imperium Romanum II. In fact your description below is very good but lists all the things that exactly do not apply to the Ancient World series, making my case. Point taken, but I'm thinking of the operational level as that which focuses on a particular campaign rather than on an entire war. There is often a lack of distinction between these levels in the ancient period, which is partly the OPs concern, I think. So for me, Caesar's campaigns in Gaul are operational; Hannibal in Italy is operational; Flamininus in Greece is Operational; the entire Punic War is strategic. You may be right that RHB's Ancient World series is strategic by this definition; I should have checked more closely, so apologies if that was misleading. As for the number of troops represented at the tactical level, there are a few problems. One problem is that there is a lack if knowledge about how ancient armies fought at the smallest scale. We can guess in many cases, but for the most part we really don't know how even the better-known armies actually fought on a micro level. Another problem is the size of the unit that could act together on the battlefield. Even into the late 1800s, the smallest unit represented was typically a regiment. I think many ancients tactical games give the commander too much control. In many ancient battles the commander was able to command the center, each wing, and some cavalry (although any of those groups could get out of control.) a lot of players don't like the abstraction of arraying their strength points in a "right, center, left, reserve" battle grid, but it may have come closer to the mark than GBoH or even Ancient Battles Deluxe. Except in raids (usually miniatures games), you don't see ancient squad level games because they didn't seem to operate as "squads" in big battles. I notice you started talking about operational but suddenly you jump to tactical. I guess that's because tactical is all I've ever actually seen in a wargame. Even Caesar: Epic Battle of Alesia was pretty tactical. De Bellis Antiquitatis and Ancient Battles Deluxe certainly are. And most of the ancients games I haven't seen also seem to be tactical: the GBOH series, Lost Battles, and so on. Every now and then I see a grand-strategy game like The Peloponnesian War, 431-404 BC. But nothing in between those two vastly different scales. That's what made me wonder. Also, when I look at the sizes of the units, I get confused again. In Ancient Battles Deluxe, a unit might represent anywhere from dozens to hundreds of men, depending on the scenario. But if it were a Napoleonic game or a World War II game, and each unit represented hundreds of men, it'd almost certainly be operational--or at least I'd call it that. I call The Longest Day operational--and the battalion-sized units are about equivalent (in numbers of men) to the ABD units. I guess part of the problem, though, is that we don't have a good definition of "operational." To my mind it's the wargame scale in between strategic and tactical. So, anytime I see mid-level units--battalions and regiments--I consider the game operational. Games like Blue & Gray and Napoleon's Last Battles thus seem operational to me, even though I don't remember either of them dealing much (if at all) with matters of supply and logistics. By some other definition, these games would be tactical, I guess. But I'm too used to thinking of "tactical" as meaning squads, platoons, and companies--except in ancient warfare, where it gets screwy. I think you'd be better off moving your goalposts from Ancients/everything later to Industrialized warfare/everything earlier. A Napoleonic game with regiments or even brigades is generally going to be considered tactical, or at most grand tactical. If you're fighting only one battle in these periods, it's tactical. The absence of supply/logistic considerations is key. NLB stands astride that line, as does the N20 series -- I would say those games are grand tactical or perhaps semi-operational. In gaming terms, an operational level game might be boring. Armies were kept together to keep soldiers from wandering off. While there are instances of armies moving fast, many armies moved slowly, in some cases less than 10 miles a day. The armies often stopped for days to forage or await supplies. They often stopped at favorable terrain to see if the enemy would come and give battle at that location. None of that is really a reason for the game to be boring - the same (in a general sense) is true of Napoleonic armies! Which tells us it's not a question of whether these things are boring per se, but of choosing the right scale. As mentioned before, it's mostly the remoteness (in time) and the lack of sources that result in "operational" scenarios typically being handled at a scale of a month per turn. At best there was one major battle, a mop up, and looting. At worst the armies never really came to grips and went back home when the campaigning season was over. That is more of an argument, but of course we know that wargamers, when given the chance at a climactic battle, will likely take it anyway just to see what happens. All correct, and very good points. The other important part about control is that (completely unlike most games including GBOH) due to the need to remain in ordered formation and the lack of battlefield communication beyond shouting, trumpets, and riders, stopping a unit was as tough as getting it going. Unless the commander road at the tip like a missile seeker warhead (think Alexander), most ancients units were fire-and-forget weapons in battle. Either they managed to do what was planned to be their part or the battle was lost. I remember the revelation I felt when I found out (and I've forgotten where I read it) that one reason why the Spartans were held in awe by the other Greeks (who, unlike them, were not professional soldiers, i.e., did not train all the time) was because they could stop their phalanx again after it got going without it being disordered! A Napoleonic game with regiments or even brigades is generally going to be considered tactical, or at most grand tactical. Well, if Ligny and Bull Run are tactical, what the heck do you call Grenadier and Battles & Leaders (or Rebel Yell)? I can shift my perspective as you suggest, but to my mind that sure makes "tactical" cover a very wide range of scales. If you're fighting only one battle in these periods, it's tactical. The absence of supply/logistic considerations is key. So I've heard sometimes. And yet the first two wargames I ever played were Waterloo and The Battle of the Bulge. Waterloo covers a whole campaign (including, potentially, battles at Quatre Bras, Ligny, and Mont St. Jean, among others) but doesn't have any special rules for supply/logistics. Bulge does have supply rules. Back in the day, I considered both games operational. And I guess I still do. The first wargame I ever called tactical was PanzerBlitz. Within a few years it was followed up by a whole SPI series of tactical games--PRESTAGS. Those games are what formed my impression of what tactical wargames are. So, anytime somebody points to a game like Gettysburg (125th Anniversary edition) and says it's tactical, I have to say, "Aw, c'mon--the unit-counters represent entire divisions! This is no up-close, nitty-gritty view of battle action; it's a large-scale affair. It has to be operational--or strategic, or something." Hence my confusion when I play Ancient Battles Deluxe and read that I'm engaged in tactical ancient warfare, even though huge battles like Gaugamela and Zama are covered by the scenarios. How can that be tactical? But ... if I go by A. T. Mahan's definitions (as noted in a post above), I guess the main point is that both Gettysburg and ABD cover situations where the opposing forces are already in contact with each other; therefore they're tactical situations. Doesn't matter if the engagement is a small one or a huge one; it's still tactical. I get that. But when a wargamer expresses a preference for tactical games, I'm sure not thinking of games like Gettysburg. I'm thinking of ASL and Mustangs and The Ironclads. Ah--another of those pesky wargaming terms. I heard "grand-strategic" for years before I started occasionally hearing "grand-tactical." And I don't think I ever bothered to find out what the latter was supposed to mean. "Grand-strategic," as far as I could tell, was a clue that the game would somewhat cover political and economic matters, not just purely military affairs. Rivals might spy on or sabotage each other, and allies might trade with each other--that sort of thing. And almost always the game would cover an entire war, not just part of one. But when I first heard the term "grand-tactical," I wondered what it could possibly mean. Surely not the same thing as described above. I think I first heard it used in an article about the game Air Assault On Crete/Invasion of Malta: 1942, and I think the author said he used the term because units were battalion-sized and thus bigger than in the usual tactical game (like PanzerBlitz). Since some units had ranged fire, the game seemed sort of tactical, but it was on a larger scale. So, switching back to the modern era again, does that mean The Longest Day is also a grand-tactical game? I was hoping that Carthage: The First Punic War and The Rise of the Roman Republic would fill this need. While the Ancient World Series seems to be history, it's billed as the Europa of ancient games. "we don't have a good definition of "operational."" The tactical scale is basically set by weapons technology and to a lesser extent terrain. Distances within the range of most of the weapons present counts as "tactical"; distances within the eyesight of one commander count as at most "grand tactical". The portion of armies that fit within one engagement in either sense has changed with time, technology increasing weapon ranges but higher weapon lethality then dramatically decreasing typical deployment densities. In wargame terms, if your units have ranges on them, it is tactical. The operational layer concerns all levels between supreme command and the overall war, and that tactical scale. In wargame terms, if the game doesn't cover the entire war, it is at most operational. If it doesn't cover diplomacy, entry or exit of different countries etc from the war, force mobilization and economics - it is probably not strategic. Some of those things might receive simple coverage in a true strategic level game, but normally they are more important to the outcome and at least some of them received detailed coverage. In military rank terms, national command authorities or general staffs are directing things in a true strategic game. Captains and below, in modern rank terms, are directing things in a true tactical game with modern focus, but in older eras the grand tactical level might run up to full generals and certainly runs up to a corps commander. Those are still single battlefields within eyesight of one position or very nearly so, and focus on one day's action or at most a few, on the same location. Everything in between, including most of what general officers below the supreme command level, do for a living, is operations. If the side commander is in the role of a divisional commander to an army group commander, but not in control of the entire war in all theaters, you are looking at an operational game. Again in older eras that may shift over to the grand tactical if the space and time limits are tight enough - in this one location for this one day, what a given general does will be grand tactical rather than operational. The transition between those is whether the forces are articulated in space and the fighting articulated in time, beyond eye-shot and immediate mutual support. If they are, then you are at the operational scale. If everyone is part of one continuous battle in the same geographic location for the same short span of time (a day, say) then it is grand tactical. The battle of Antietam is grand tactical, Lee's first invasion of the north is operational, to put that in terms of an example. The fight on Omaha beach on D-Day is grand tactical, the whole campaign in Normandy is operational. It isn't strategic. The old Avalon Hill game Third Reich is strategic - it would depict the invasion of Normandy as one combat resolved with one die roll establishing one beachhead in one hex - while the commander represent whole nations or alliances and decided how much to focus on u-boats vs panzer corps and where to send each new panzer corps etc. Grand tactical is distinguished from tactical by the fact that is does represent overall army command, and articulated forces maneuvering around one another beyond the range of any of their unit weapons. When Lee decides to trying turning Meade's left at Gettysburg and sends Longstreet's entire corps on that mission on the 2nd day of that battle, we are in grand tactical land. The action is all visible and hear-able from Cemetery Hill, pretty much. The fight is all happening in the same spot on the map. It is continuous in time over 3 days, without breaks other than those imposed by nightfall - one battle, not five or ten. It is not simply tactical because the scale is much larger than the range of a rifled musket, the forces engaged are entire armies, corps and divisions and brigades maneuver and clash now here, now there as a result of the rival moves by each side, etc. But there are no multi-day marches to new spots on the map, no disconnected forces of any consequence clashing with each other away from the main battle, not even any rival objectives, really. It is one integrated battle that ends when one side is driven off that particular field. Thanks for the thoughtful reply, Jason. I'll have to ponder on it more. In wargame terms, if the game doesn't cover the entire war, it is at most operational. Does that mean you'd consider the following games operational rather than strategic? I've always called those games strategic, just because of the scale. The basic units of maneuver are divisions and corps, and I guess that's what I've usually gone by. But none of those games covers an entire war--just one theater, as it were. I would consider those operational. I was told that strategy is when you deal in political and economic factors, Operations is when you deal with supply, and tactics are when you factor in ranges. This has always made sense to me. With that said, I've always wondered if levels are associated with certain scale limits i.e. once your at a certain physical scale it changes. I suspect not as ICBM ranges are pretty far, and politics can change with the thrust of a dagger. [q="Patrick Carroll"]There is one system that could arguably be claimed to show "real" ancients operational issues, and that is Paddy Griffith's Vallum from Slingshot magazine (specifically looking at the Romans who were arguably the operational masters of the era). It's not about marching and fighting, but about finding the right spot for your camp with regard to water and foraging, building your fortifications, and awaiting the right moment to strike when the enemy is tired, hungry, or demoralised (or has had key units bribed to defect by your secret emissaries - yes, that is also part of the game). It is unique as far as I know, and also show why more games were not done at that level. Left aside the question of the proper definition of the operational level in an ancient context, you described exactly the elements that are missing in a game at strategic or tactical level: the preparation to battle that could even bring to victory without battle. At Ilerda Ceasar exploited the opposing side weakness of leadership and morale and avoided the risks of a direct attack. He moved its camp and acted on the pompeian's supply status. Avoiding a premature battle unless on favourable terrain of his own choosing he sought to weaken the enemy position by limiting the enemy options, seizing key points and exploiting the local geography. Finally he turned the enemy's position seizing high terrain on the enemy LOC and forced it to surrender. It's a result comparable to Napoleons manoeuvres at Ulm. The shadowing operations by which the Byzantine army dealt with muslim raids in Anatolia are another interesting example. All these "operations" are not depicted in a tactical "battle" game nor in a strategic game where the player can decide "where" to confront the enemy but not "how". Wow. It astounds me that the above-listed games would be considered operational. Here's a Wikipedia article on wargame scale (though it may be more confusing than helpful). Grand strategy — military strategy at the level of movement and use of an entire state or empire's resources, with the focus being on a war (or series of wars) usually over a long period of time. Individual units, even armies, may not be represented; instead, attention is given to theaters of operation. All of the resources of the nations involved may be mobilized as part of a long-term struggle. This simulation almost always involves political, economic, and military conflict. At the most extreme end of this is the branch of strategy games in which the player assumes the role of an entire nation-state's government where not conducting war is a possibility. Axis and Allies, Risk, and Empires in Arms are examples of this type of wargame. Tactical — units range from individual vehicles and squads to platoons or companies, and are measured by the types and ranges of individual weaponry. A solitary force, others occasionally intervening, will usually cover the single battle or part of a large battle to be simulated. Examples of this kind of game are Memoir '44, and Dust Warfare. Skirmish — represented by individual soldiers, units may have tracked wounding and ammunition count. A game is composed of a small firefight, introducing the "man-to-man" scale; the first of this type in the modern era of board wargames include Patrol and Sniper!. Early role-playing games were derived from skirmish wargames, and many are still played as such. Of course, way back in the day, I used to go by what was printed on the game box. The above-listed titles were usually called "realistic strategy games" there--and I took it to mean wargames on a strategic scale. So, I guess I've probably had myself thoroughly confused for years. We are at all times operating on the strategic level.